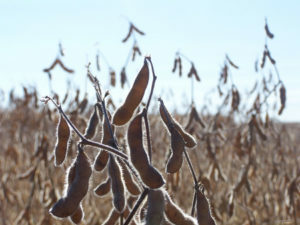 Farmers in northwest Iowa are waiting for beans to dry out. Farmers Cooperative Society in Sioux Center, Calvin Diehl, says the beans that remain in the field need more dry days. “We’re about 70 percent done with beans. 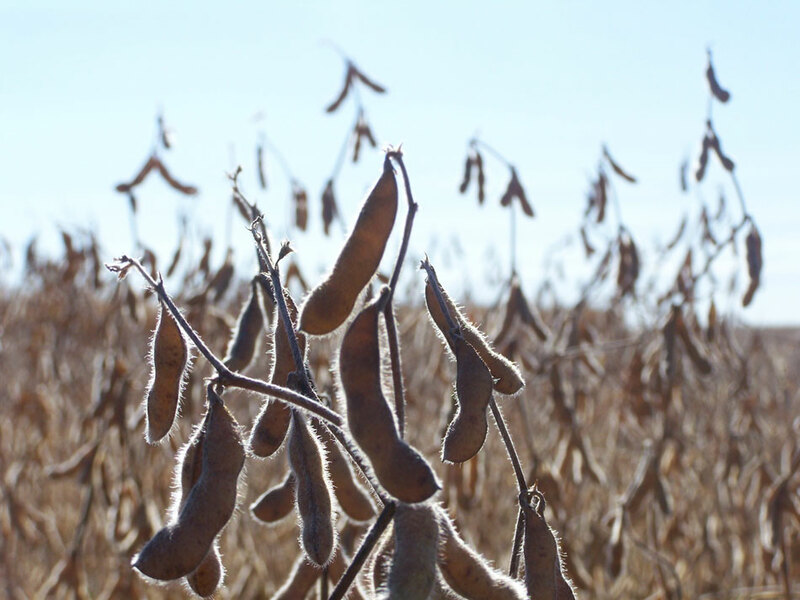 The last 30 percent have been a real struggle to get off…beans are about 16 to 17 percent moisture and guys just cannot combine them yet,” according to Diehl. Farmers can only wait and hope those beans dry out. “They are just too wet to do anything with — no processors or anybody will take them at that moisture at any discount level,”Diehl says. The bean fields that have been harvested are showing good yields. 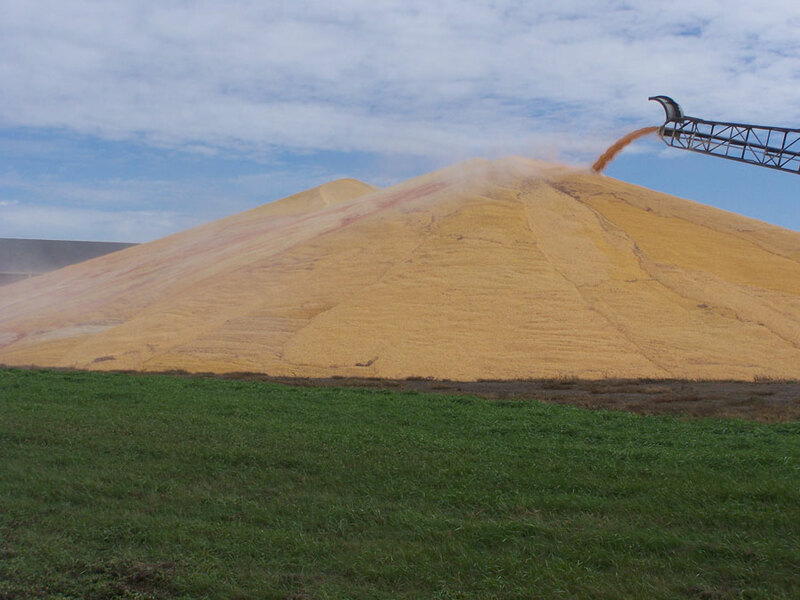 Grain pile at the Farmers Cooperative Society in Sioux Center. He says the average fields are averaging around 70 bushels an acre, with most of the in mid 70’s and up. “Very good yields, I’d say five to ten percent better than last year.” Diehl says the corn harvest is also looking very good when it comes to yields. 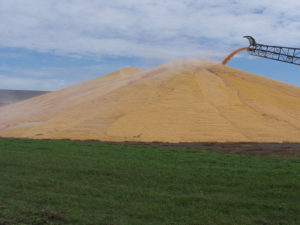 elevators are having to store this year’s corn in outside storage facilities.